The all new Nellies mop from Canada! Great for all types of flooring, including hardwood, laminate, tile, ceramic and carpet. Simply fill the tank with ordinary tap water or almost any liquid cleaning agent. Press the power button and let the WOW Mop do the work! 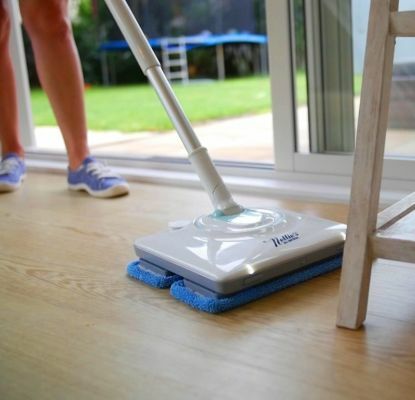 The twin oscillating pads will scrub, buff and polish so much faster than a regular mop, your floors will be spotless and your mother-in-law speechless. WOW, indeed!